In our earlier guides, we have discussed the theoritical aspects of Smart Things. In order to get full advantage of the hardware and integrate other hardware, many of the developers will be interested to develop applications. How To Develop Samsung Smart TV App? Tizen Studio is a set of tools for developing applications. Tizen Studio can run on Windows, Ubuntu and macOS. Tizen Studio is closest to Android Studio. Tizen OS is F/OSS itself, developed and maintained by Linux Foundation. Samsung has own modification and tooling. You’ll get device ID from Menu > Support > Contact Samsung > Unique Device ID on TV screen. So, we can create from different templates such as Basic Project, Caph3.0-Empty Template for AngularJS/jQuery and the others. This Article Has Been Shared 1172 Times! Here Is A Cost Effective List Of Needed Things For Arduino Wearable & IoT Projects Which Practical For LilyPad, Gemma, Flora, Yun Mini ETC. We Can Use Raspberry Pi Like Single Board Computer & IBM Watson API To Create Raspberry Pi Cardboard Robot (TJBot). Also It Is Example of IoT. 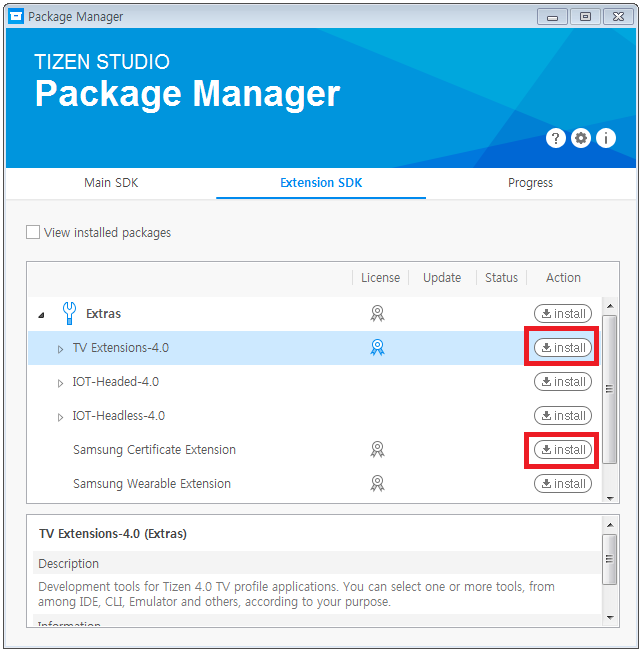 Cite this article as: Abhishek Ghosh, "How To Develop Samsung Smart TV App (Tizen OS)," in The Customize Windows, December 8, 2018, April 25, 2019, https://thecustomizewindows.com/2018/12/how-to-develop-samsung-smart-tv-app-tizen-os/.